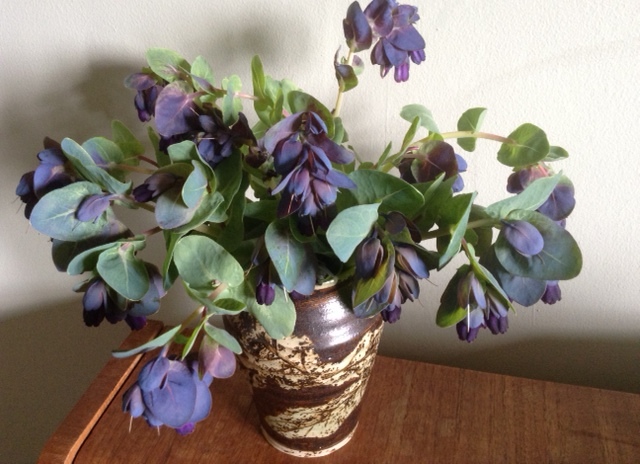 I’ve been very much enjoying having some Cerinthe in the house (or Honeywort – as they’re beloved by bees) – a present from my friend Susie, grown in her beautiful Allendale garden. 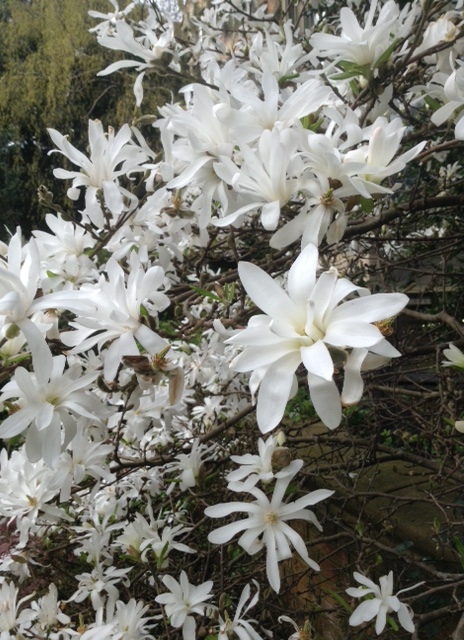 Although only an annual, it is has survived all through this winter. I have a new plant of my own, with no flowers just yet, but it’s looking happy enough. 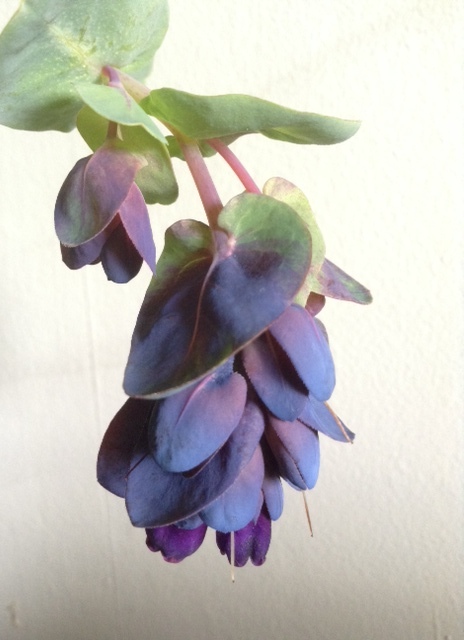 I was pleased to learn that the name Cerinthe comes from the Greek – keros, for ‘wax’, after the almost fleshy texture of the leaves and bracts; anthos means ‘flower’ (which gives us the word ‘anthology’). To my ear it still sounds like a woman’s name. 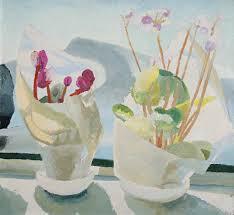 Why is it girls are often named after flowers but no one thinks to name a boy after one? I can only summon up Rowan Atkinson (strictly speaking a tree, for which there might be different rules) and Lupin in The Diary of a Nobody. Anybody know any more?